Now that chunky heels are following in the steps of skinny jeans, woman are even more anxious to get to Manolo Blahnik boutique’s next markdown. Wait no more. The newest markdown will start Monday, July 15 with a discount of 50% off. If you haven’t slipped into a Manolo lately we would strongly recommend starting with the BB Pump. The BB was aptly named after the inimitable Brigitte Bardot, who was an icon of 1950s fashion. This sleek and elegant shoe was reintroduced in 2009 as an alternative to the heavy, over-designed and over-accessorized shoe styles of the 2010s. This most recent markdown follows the 33% discount but proceeds the final and best shopping opportunity of the season. The final markdown is always one of our favorite sales and normally occurs the first week of August. Prices range from $195 to $350. Most shoes and low boots– even highly ornate styles– are priced at $250. In the meantime, Bergdorf Goodman still has a great assortment of Manolos that are currently 55% off and Barneys markdown is at 60% off. We’re personally waiting for August. 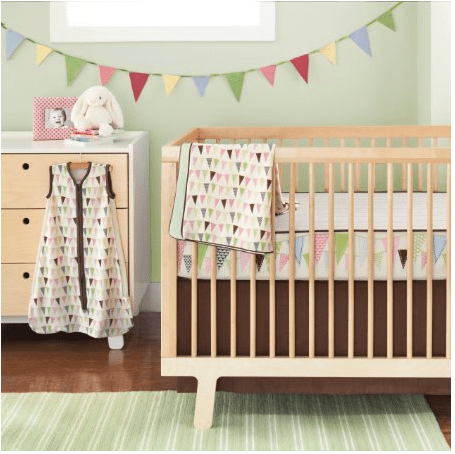 I love Skip Hop’s bumper free line because you can get a crib set and not waste your money on an item you might not want to use for safety reasons. 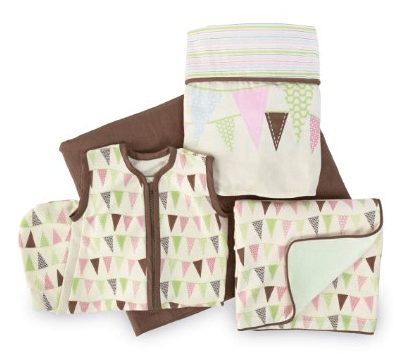 The Skip Hop Pretty Penant Bumper Free Crib Bedding Set is just $42.37. Regularly priced at $120, this is a great deal for a budget nursery. Plus, the sheet has a design on the side so you still get that cute bumper look. This item qualifies for free 2-day shipping with Amazon Mom or Super Saver Shipping because it meets the $25 minimum requirement. Plus, you have 90 days to return anything from the Amazon Baby Store for free if you change your mind. Lansinoh Affinity Double Electric Breast Pump Only $83.84! Amazon has dropped the price of the Lansinoh Affinity Double Electric Breast Pump to $83.84. That is 36% off the list price of $129.99. The Lansinoh® AffinityTM Double Electric Breast Pump – is easy to use and gentle on your breasts. Featuring our ComfortFitTM Breast Flanges for a soft, secure fit and our Custom ExpressionTM Technology for maximum milk flow, the Affinity is one of the most advanced and affordable breast pumps available, brought to you by the #1 brand in breastfeeding. Guaranteed to prevent milk back up in tubing and pump for greater hygiene and easier clean up. Designed to pump easily into most baby bottles. Easy to read LCD screen. Designed for everyday long term use at home or away. Built-in bottle holders to help prevent spills. AC adaptor or battery operated (6 AA batteries not included. BPA Free. Contains one Lansinoh Affinity double electric pump, two bottles, two bottle lids, two extra white valves, AC adapter, velcro strap for tubing and instruction booklet. This item qualifies for free 2-day shipping with Amazon Mom or Super Saver Shipping because it meets the $25 minimum requirement. Calling all my fellow coffee addicts! You all know that I do not need anyone to twist my arm to venture into Starbucks for coffee no matter what the time of day; however, now that the Starbucks Treat Receipt is back starting today, 7/15, you’ll definitely find me at Starbucks more than I care to admit! From July 15th through August 18th, make any Starbuck’s purchase before 2PM and then enjoy any Grande 16 oz cold beverage for just $2 (plus tax) after 2PM the same day at participating stores in the U.S. and Canada. Just remember to show them your receipt when you return.